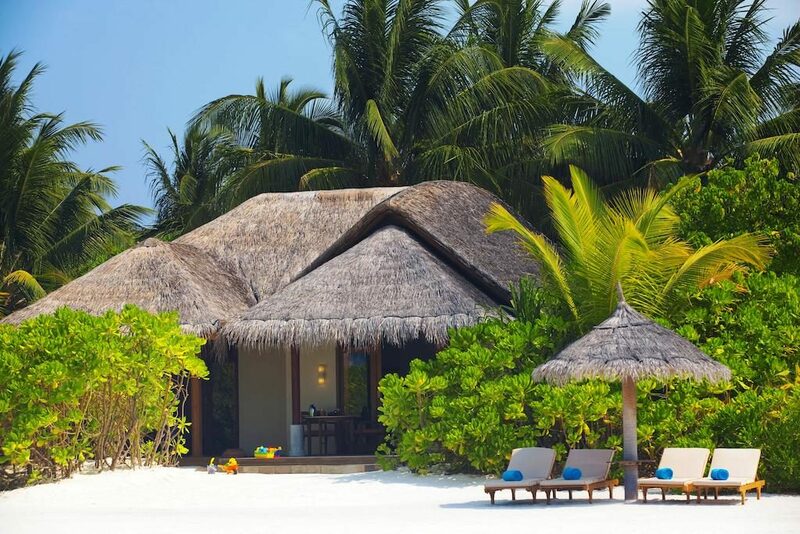 With tropical grace inspired by Thailand and the breathtaking Indian Ocean as a backdrop, Anantara Dhigu Resort and Spa is one of the most stunning resorts in Maldives. 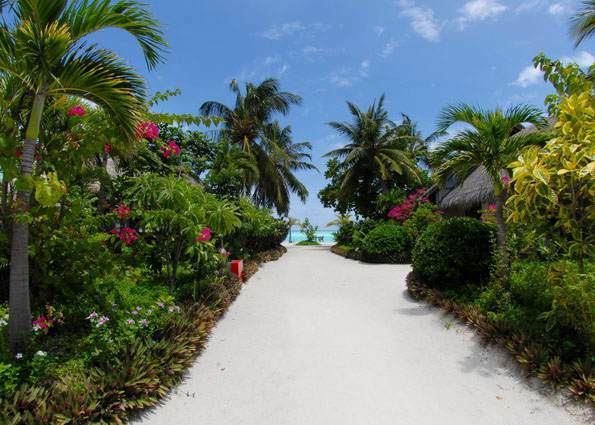 Situated on the South Male Island, this serene resort is only 25 minutes away from Male international airport. 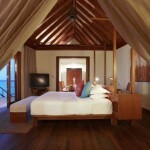 Both luxurious and comfortable, a stay at Anantara Dhigu allows you to enjoy the holiday of your dreams. 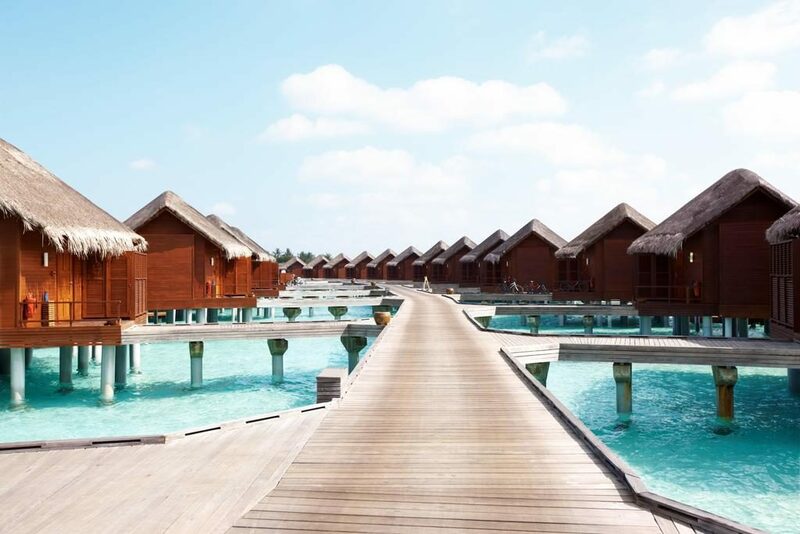 Anantara Dhigu Resort and Spa is the ideal resort for a relaxing holiday or honeymoon in spectacular surroundings – prepare for a holiday on cloud nine! 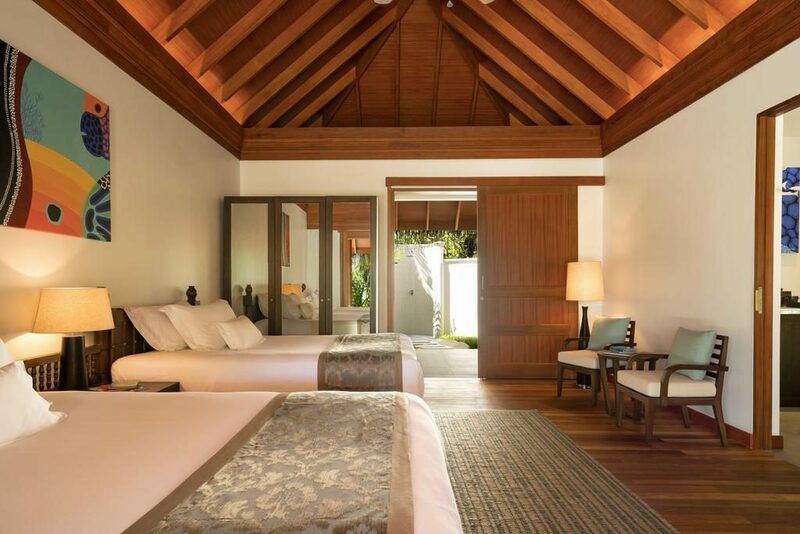 The Sunrise Beach Villa (125 sqm) is the ultimate accommodation for indulging in the most beautiful sunrises you will ever see. 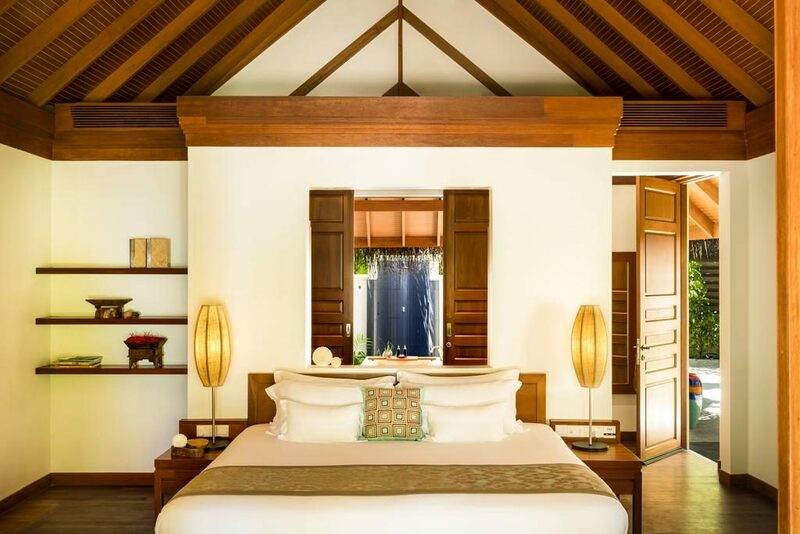 These bungalow-style villas feature beach location, tropical design, excellent sunrise views and an open-air bathroom with a lovely Terrazzo bathtub. 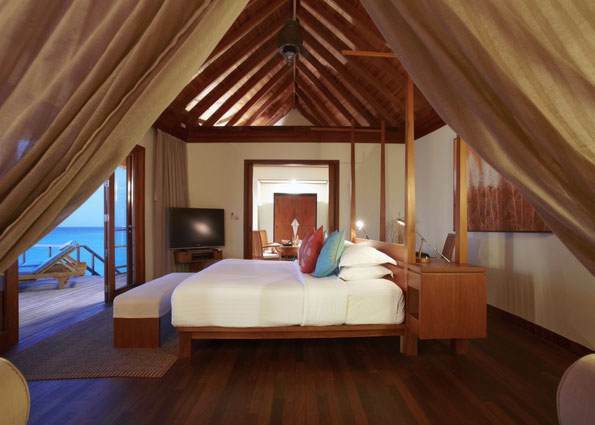 Your bedroom has floor to ceiling windows, making you feel at one with this tropical island. 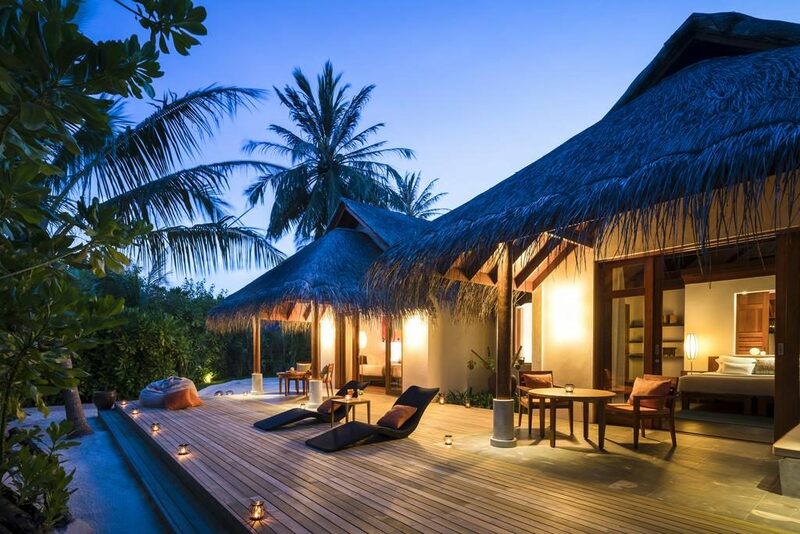 The Sunset Beach Villa (125 sqm) is the ultimate accommodation for indulging in the most magical sunsets you will ever see. 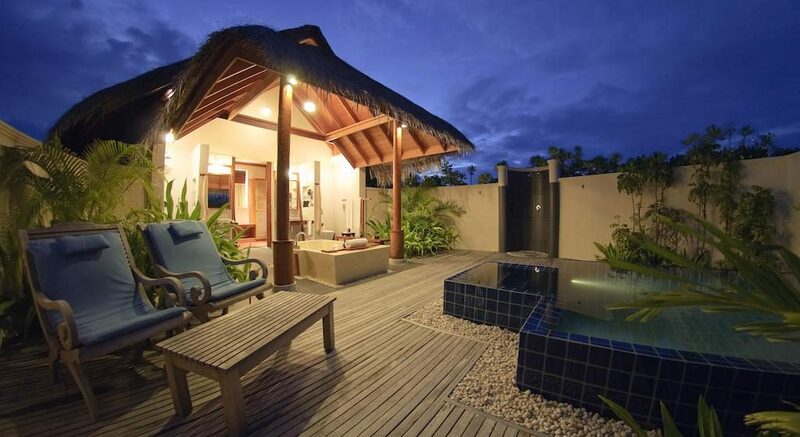 These bungalow-style villas feature beach location, tropical design, excellent sunrise views and an open-air bathroom with a lovely Terrazzo bathtub. 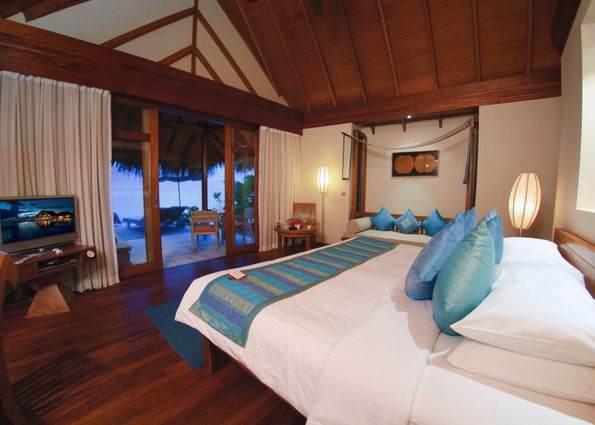 Your bedroom has floor to ceiling windows, making you feel at one with this tropical island. 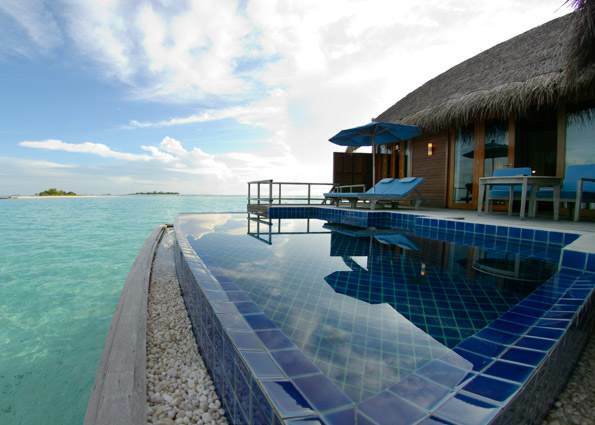 The Sunset Pool Villa (180- sqm) is located directly in front of your own stretch of the wonderful Dhigu beach. 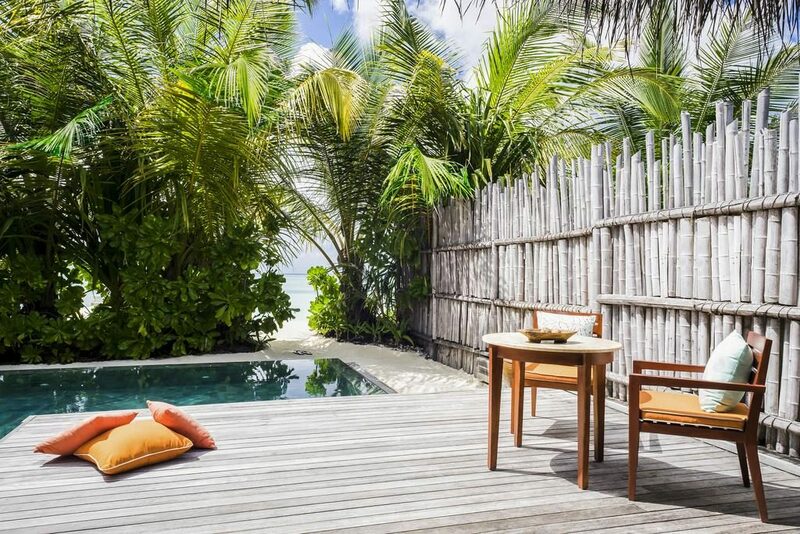 Your lush garden has its own plunge pool where you can cool off after a day in the Maldives sun, and there is also a private sundeck for your convenience. 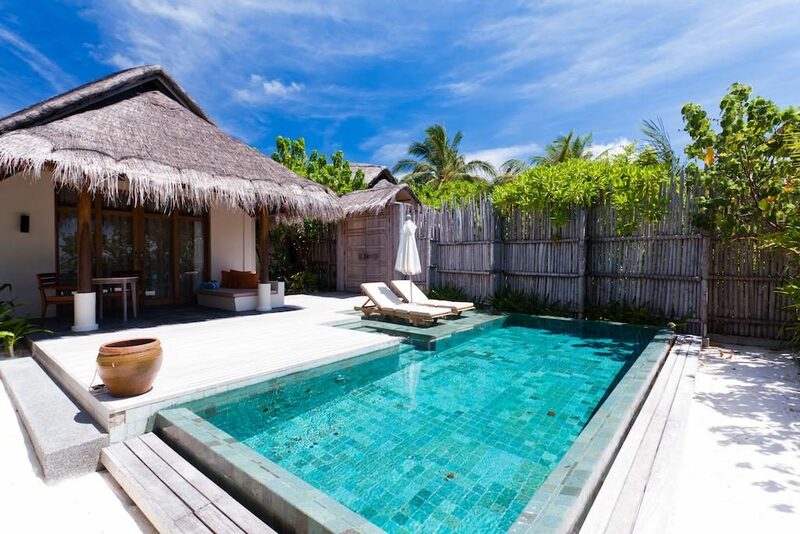 The spacious Sunset Pool Villa features an open-air bathroom with a Terrazzo bathtub. 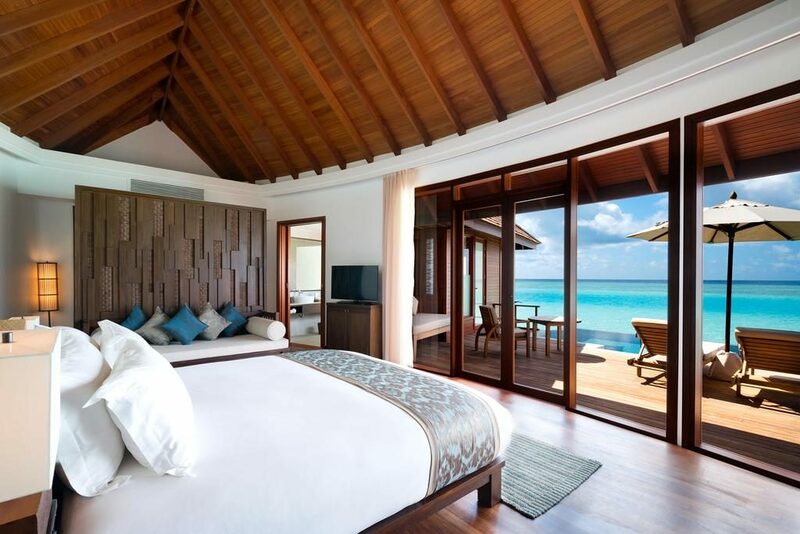 The Sunrise Over Water Suite (119 sqm) hovers over the Indian Ocean off the east shore, making for spectacular views of the magical Maldives sunrises which you can enjoy from your private terrace or even from your bedroom. 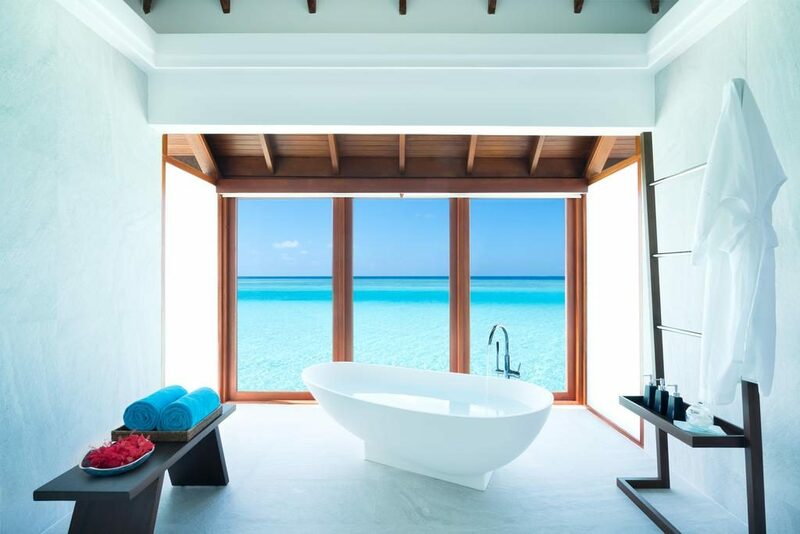 The luxurious bathroom features amazing views of the lagoon which makes your evening bath even more relaxing. 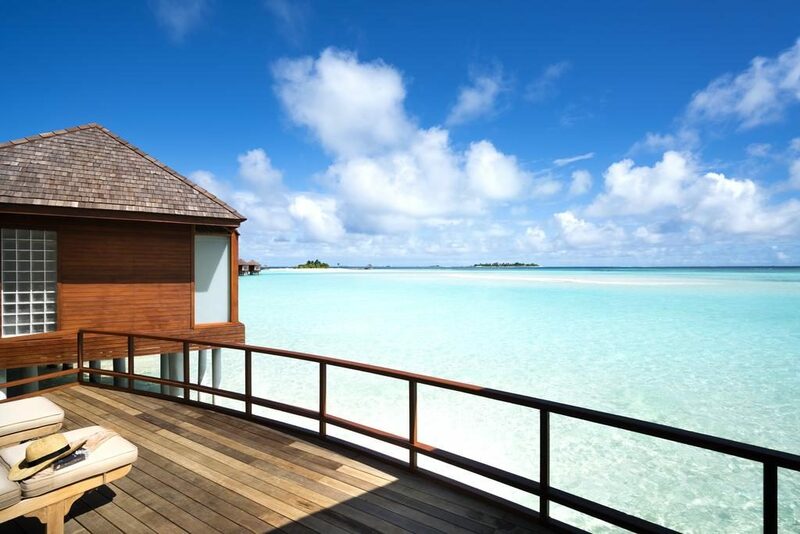 The Sunset Over Water Suite (119 sqm) is an idyllic suite located directly above the crystal clear lagoon east of the island. Your private terrace is the perfect place to sip on an exotic cocktail while watching the sky slowly change colours in the evening. 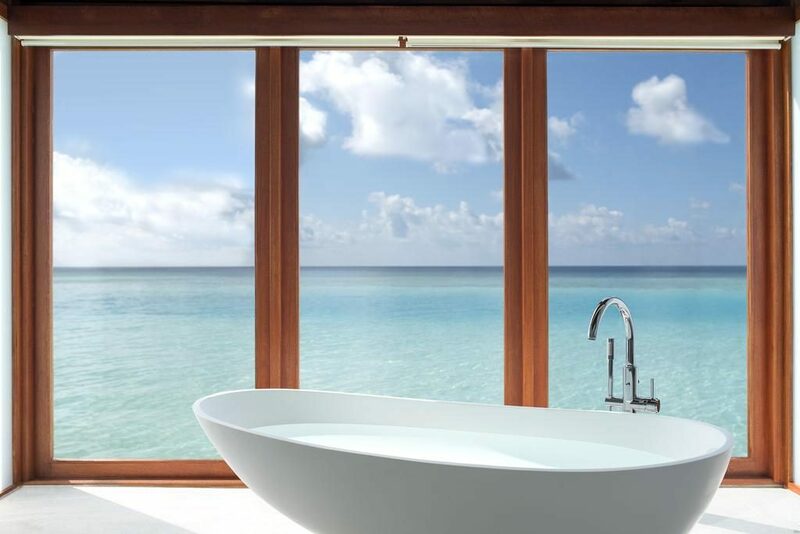 The Sunset Over Water Suite features an outdoor dining area, king size bed and a bathtub with ocean views. 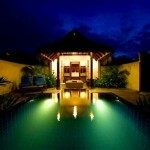 The Anantara Pool Villa (150 sqm) is a haven of comfort and peacefulness. 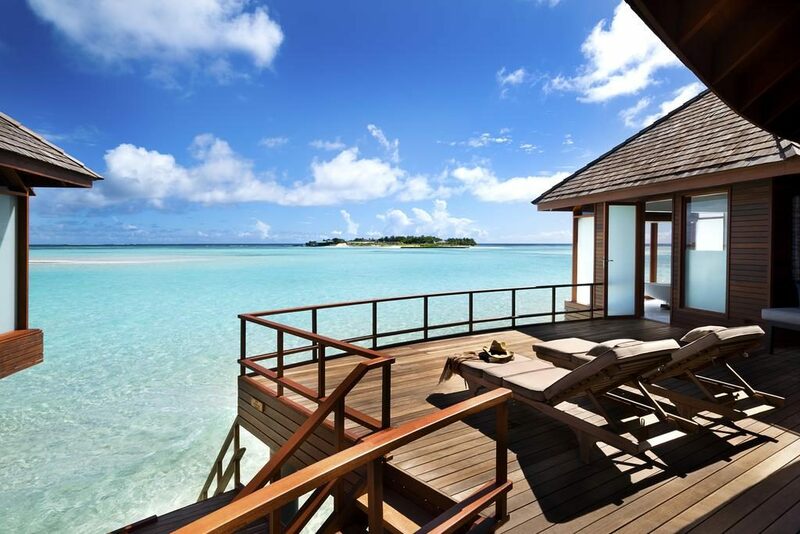 Here you can truly relax and indulge in the relaxing atmosphere of Anantara Dhigu. 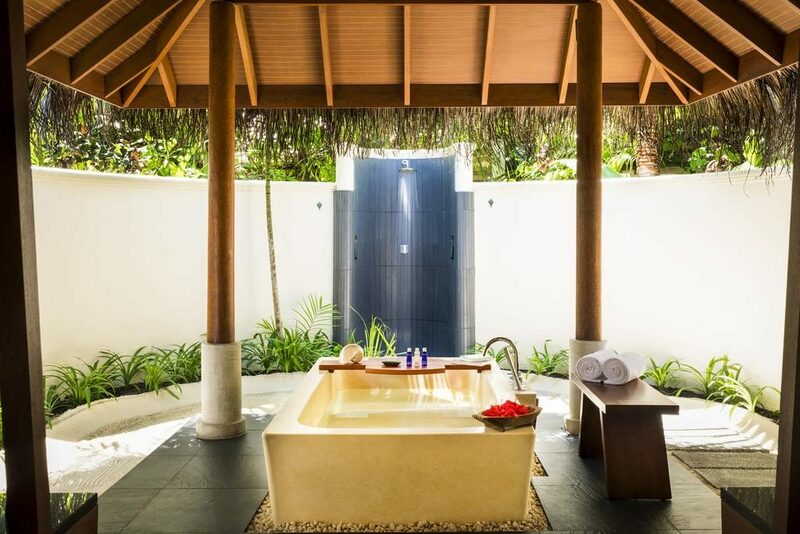 Your private plunge pool and Terrazzo bathtub let you fully relax, while the sun terrace is the ultimate spot for romantic dinners in the evening. 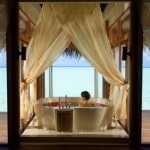 The Anantara Over Water Pool Suite (129 sqm) is the most exclusive accommodation of the resort. 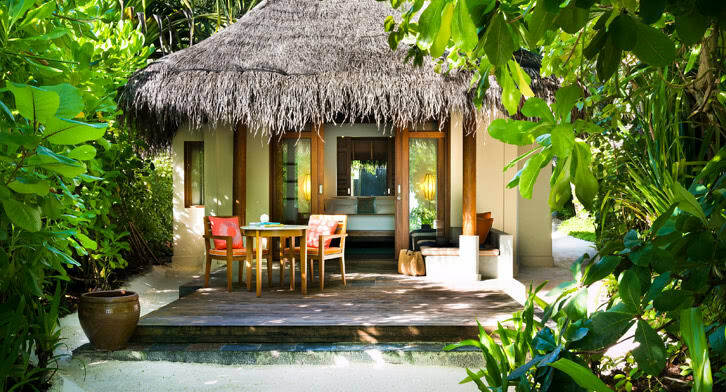 Here guests are spoiled to an expansive sundeck for secluded sunbathing, a private plunge pool and outstanding furnishings. 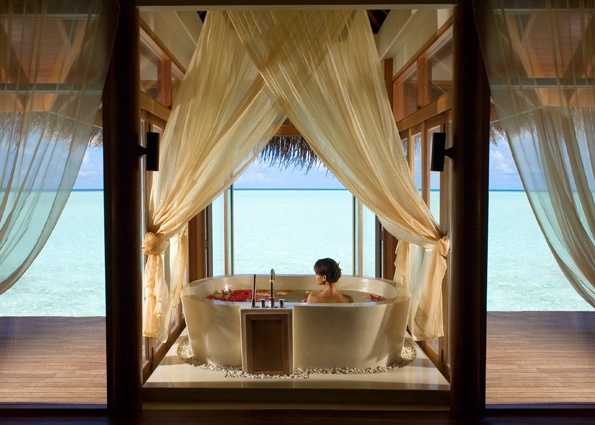 The Anantara Over Water Pool Suite features a king size bed, luxurious bathroom and breathtaking sunset views. 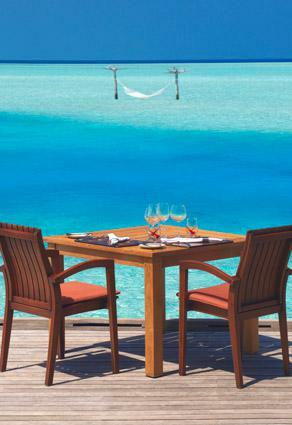 Dining with your loved one directly above the turquoise lagoon when the sun begins to set is an unforgettable experience. 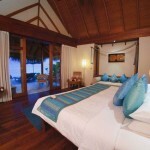 The Two Bedroom Family Villa (237 sqm) is the ideal choice if you are visiting the Maldives with your children. 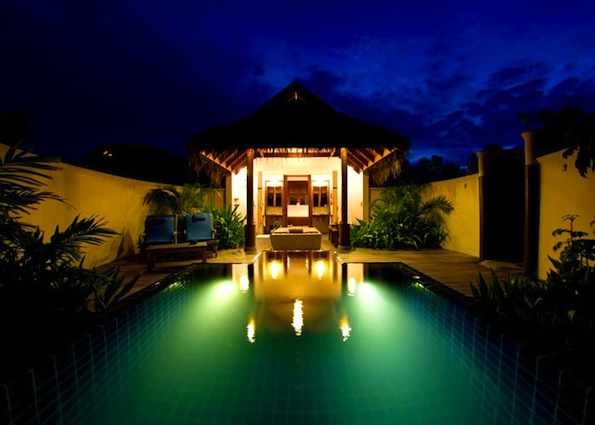 Including two bedrooms and two bathrooms, there is plenty of space for all the family in this stylish villa. 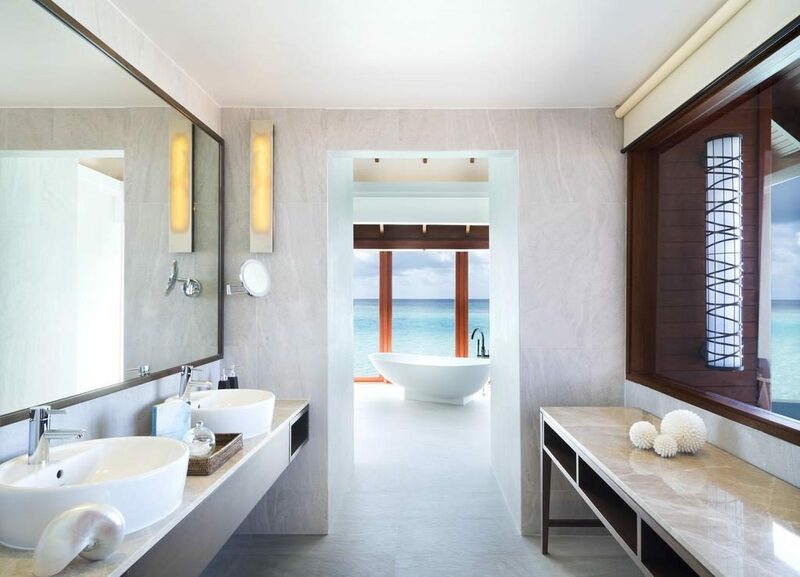 The master bedroom features an amazing Terrazzo bathtub and a king size bed. 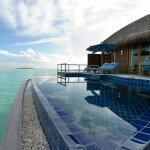 With stunning sunset views and its location close to the fabulous beach, no wonder why the Villa has become so popular. 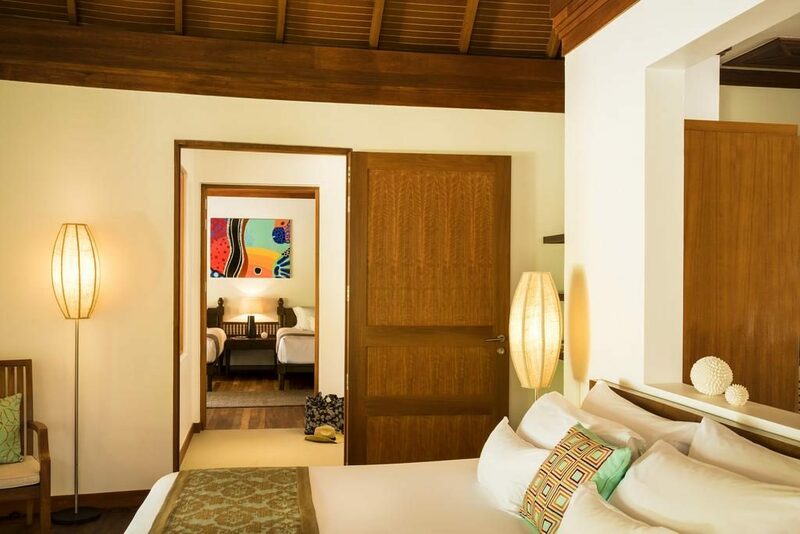 The Two Bedroom Anantara Pool Villa (321 sqm) is a haven of comfort and peacefulness. 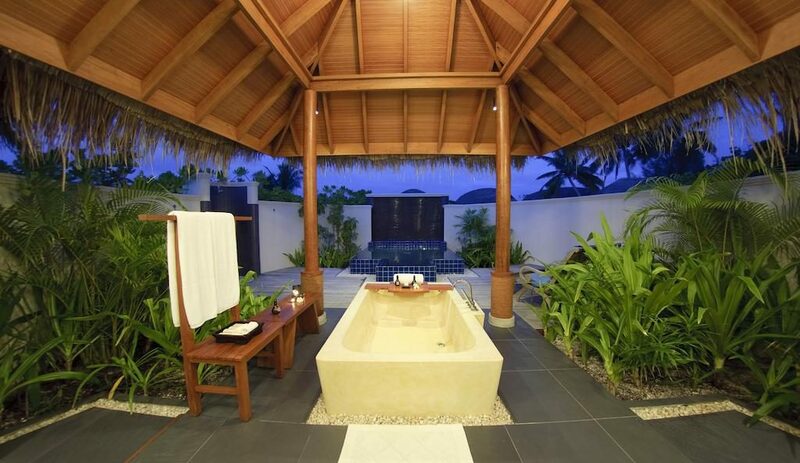 Here you can truly relax and indulge in the relaxing atmosphere of Anantara Dhigu. 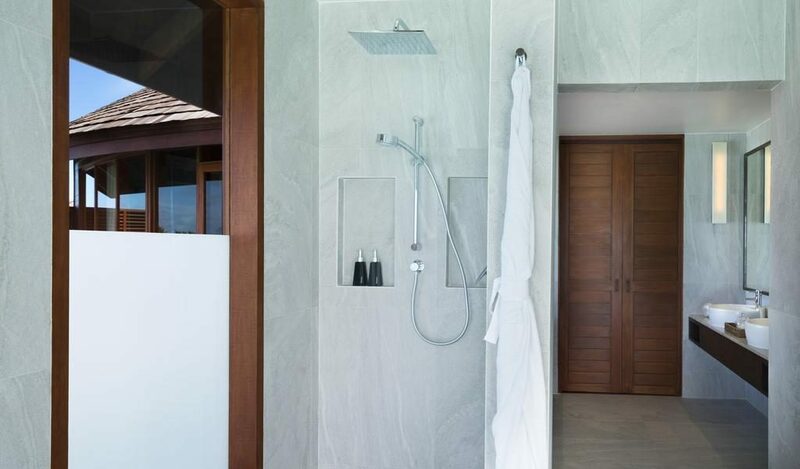 Your private plunge pool and Terrazzo bathtub let you fully relax, while the sun terrace is the ultimate spot for romantic dinners in the evening. 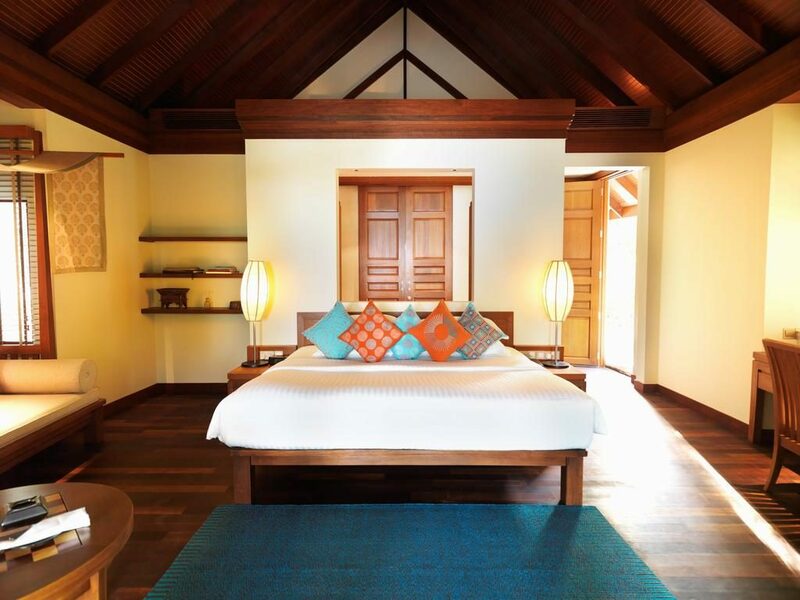 With two generous bedrooms, there is space to spare. 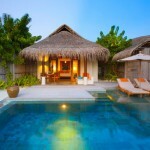 The villa is made up of two side by side villas for the ultimate space and privacy. 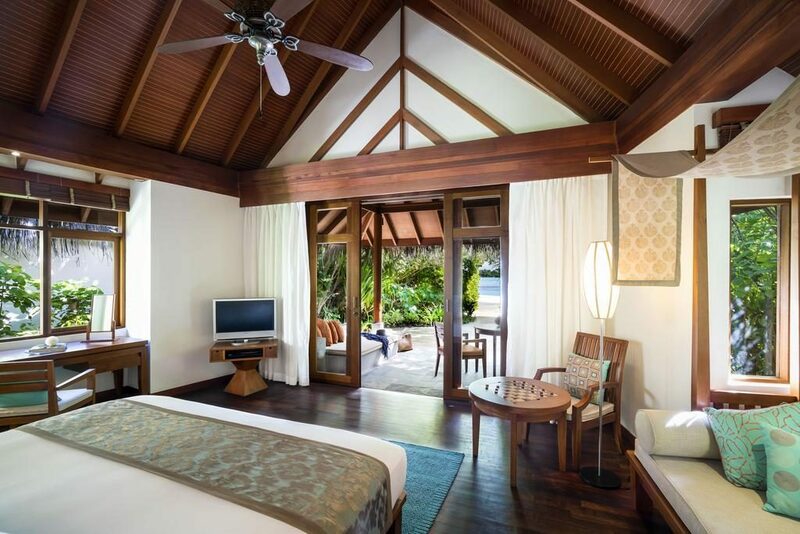 At Anantara Dhigu Resort and Spa, the lavish accommodation and exotic lush surroundings are accompanied by a vast range of impressive facilities. The babysitting service and the lively kids club make families’ stay here thoroughly enjoyable. 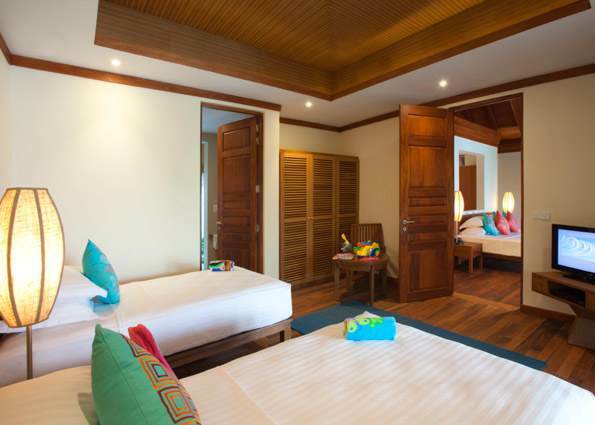 High speed internet, laundry service and the swimming pools are also appreciated by the resort’s guests. To explore the spectacular Indian Ocean to the fullest, there is no better option than to sign up for a scuba diving trip or deep sea fishing trip. The amazing marine life will blow your mind away. 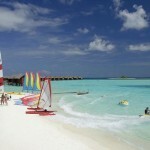 Closer to the resort, there are great possibilities of snorkelling. 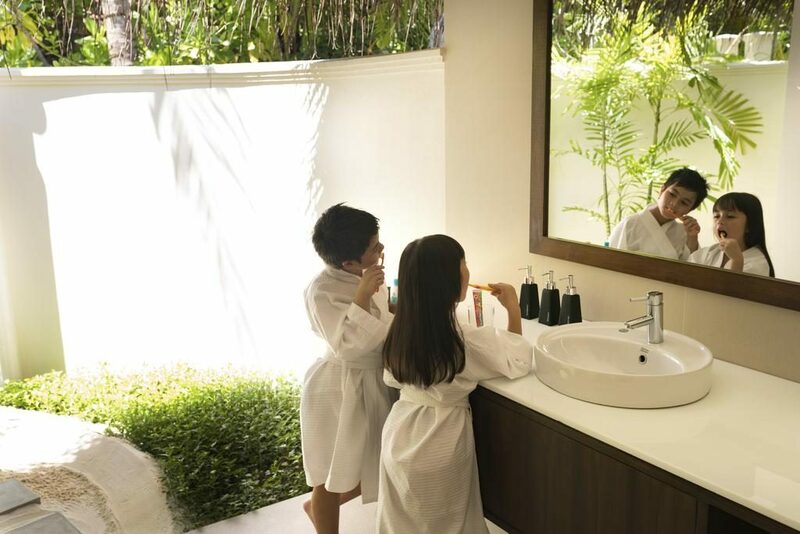 Anantara Spa is your chance to treat yourself to a relaxing pampering session. 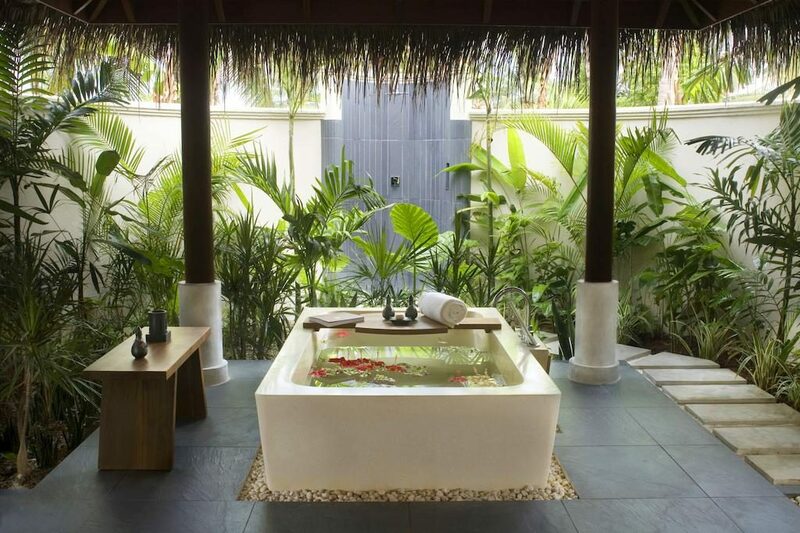 Let your mind and spirit unwind in this tranquil oasis of wellbeing. 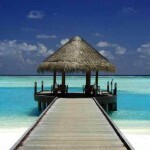 The world renowned treatments offered will provide you with complete peace – from full body massages to pedicures. 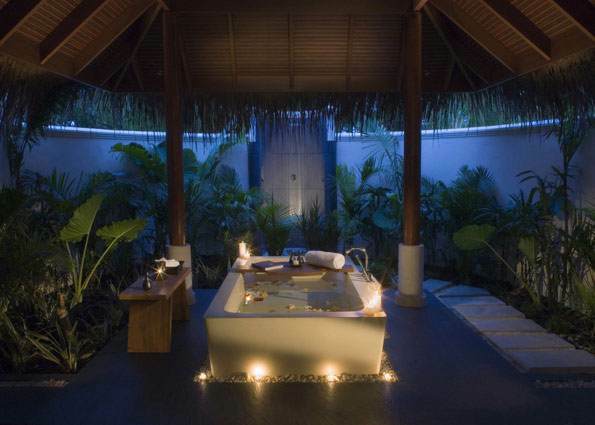 The signature coconut treatment for couples, with all encompassing care for your bodies, is highly recommended. 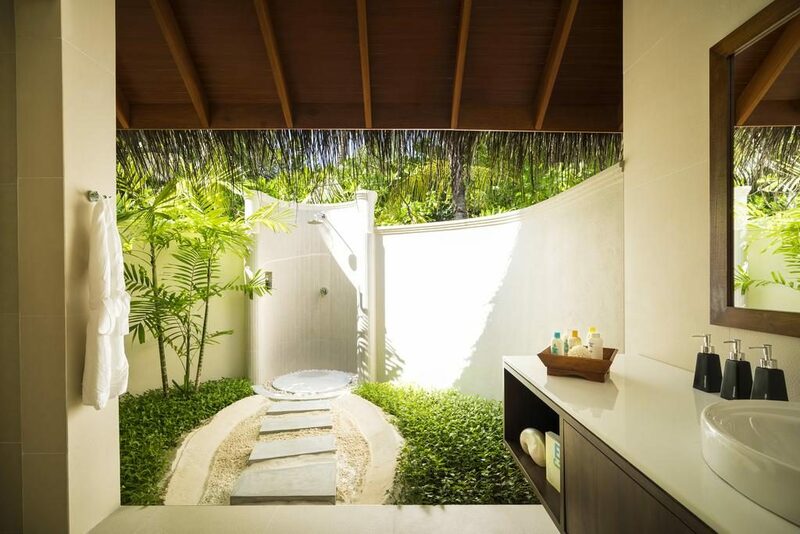 You can choose to have your treatments in the lush garden or just above the crystal clear lagoon. 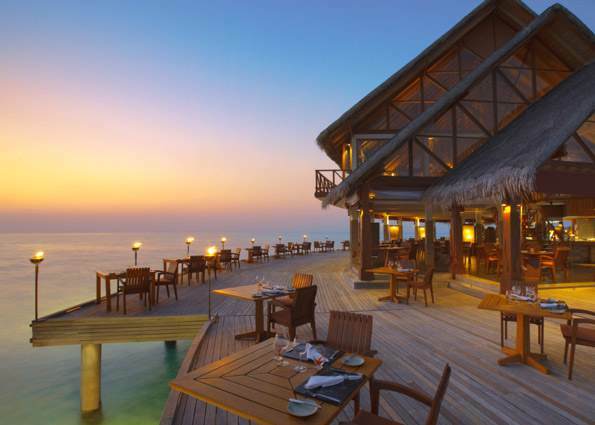 A holiday at Anantara Dhigu Resort is one your taste buds will not forget! 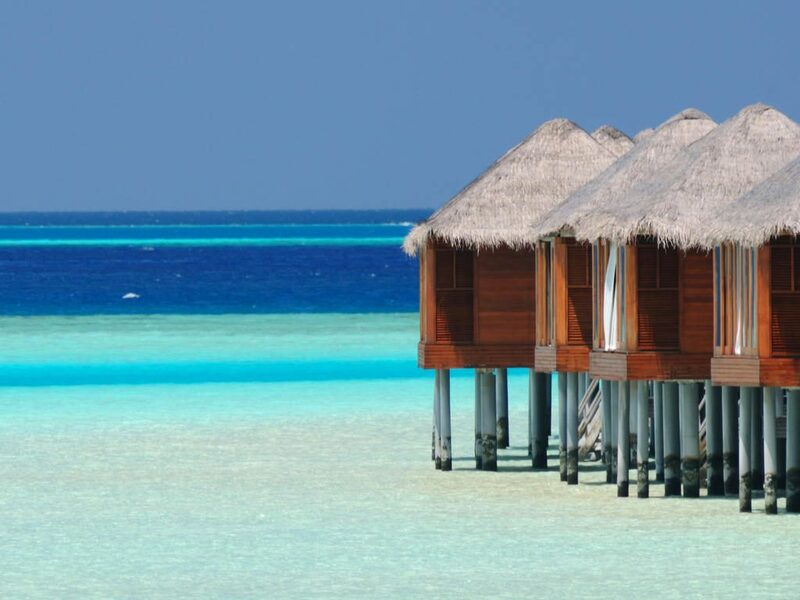 You will enjoy cuisine from all over the world – and what could be better than dining in front of the bluest waters of the Maldives? 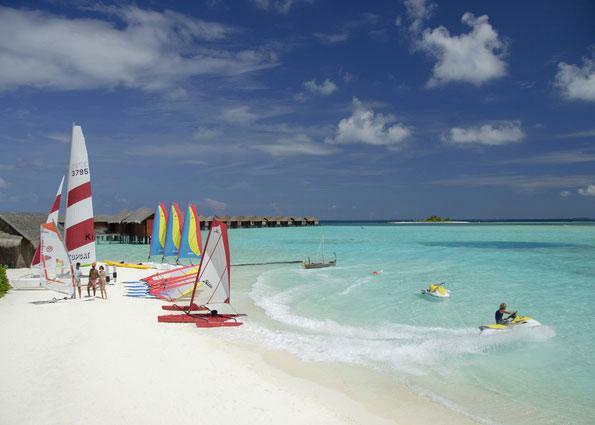 Fushi Café is located directly on the beach next to the arrival jetty. Enjoy hearty breakfasts, light snacks and international dinner buffets here. Fuddan Fushion Grill is the ideal restaurant for meat and seafood lovers. In this restaurant on the north side of the island you can feast on the most delicious seafoods of the Indian Ocean, including octopus, or choose a nicely grilled steak. 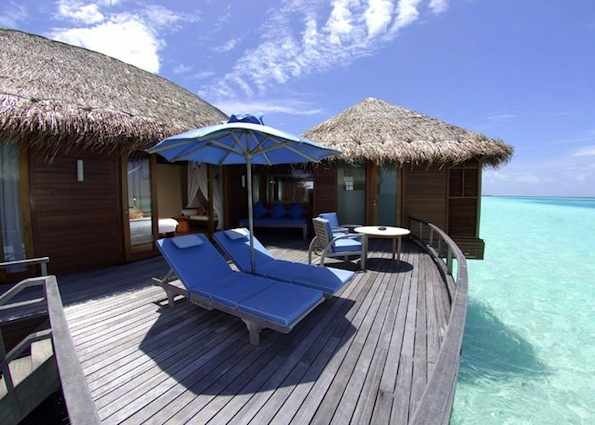 Ban Huraa* transports you to South East Asia. 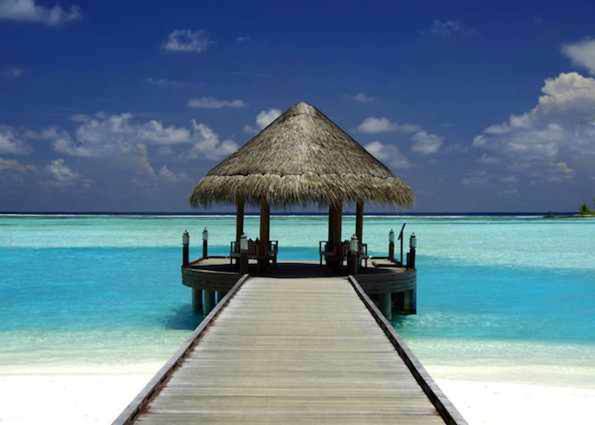 This Thai restaurant is located only a stone throw from the picture perfect lagoon. Try the coconut curries! 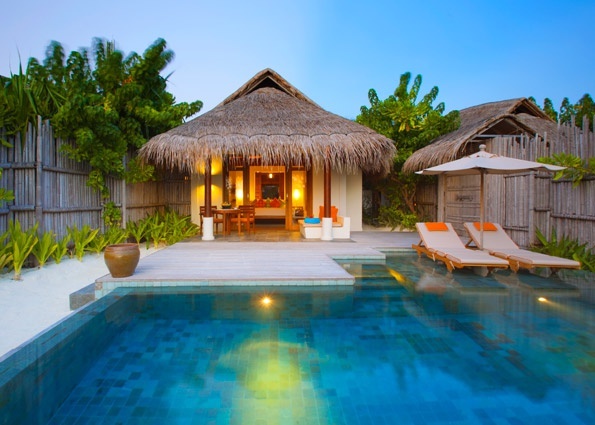 73 Degrees* is set under a semi-open thatched roof and boasts spectacular views of the lagoon. 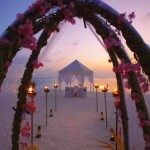 The breakfast buffet with its fresh tropical fruit is impressive, as are the omelettes and grilled meats offered. 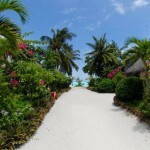 Terazzo brings a piece of Italy to the Maldives. 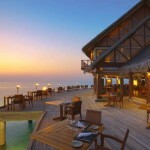 This outstanding restaurants has a warm ambience and provides you with unspoilt views of the Indian Ocean. The fabulous menu will please even the most picky of foodies! Pizza Bar lets you enjoy pizzas cooked in a traditional stone oven. If you are craving comfort food, this is where you should head. 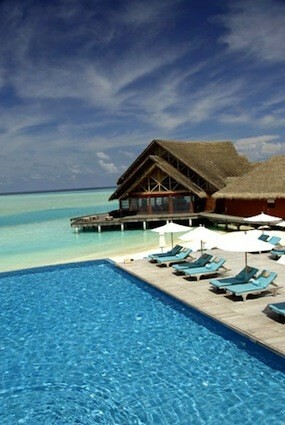 Aqua is a poolside bar, serving not only tropical drinks but also snacks. The upper terrace is perfect for watching the sunset in the evening. 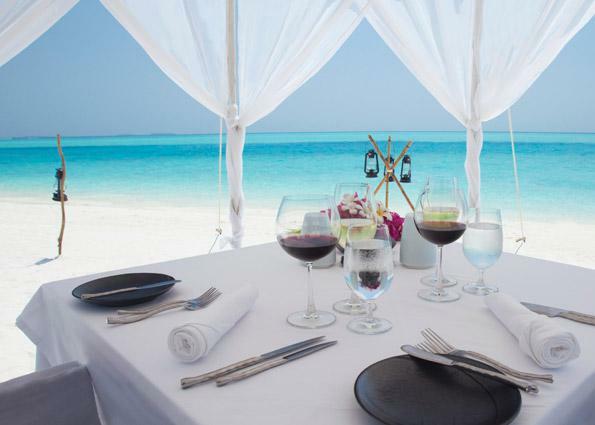 Dining by Design is the romantic dining option where you and your loved one are treated to the most special dining experience on the island. 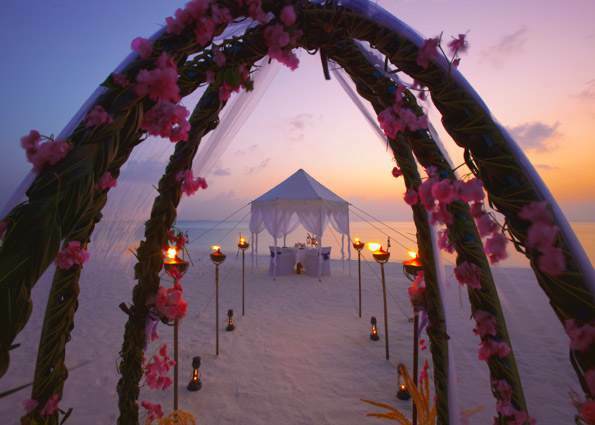 It could be a private picnic on a deserted beach or a tasty BBQ in your own villa. 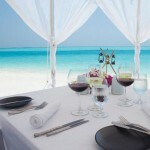 All meals are prepared by your own private chef, making the Dining by Design experience a truly memorable dinner. 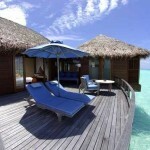 * Located on the sister resort of Anantara Veli. 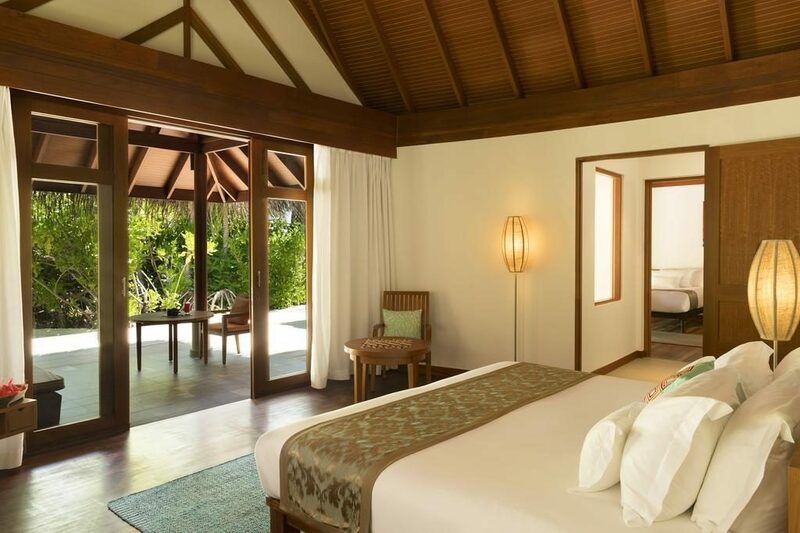 Simply Maldives Holidays offer a Bed and Breakfast package, a Half Board package and a Full Board package for guests staying at Anantara Dhigu Resort and Spa. Enjoy a vast buffet style breakfast at Fushi Cafe. Guests can enjoy a buffet breakfast at Fushi Cafe. For lunch and dinner, guests are invited to eat at either Fushi Cafe and 73 Degrees. 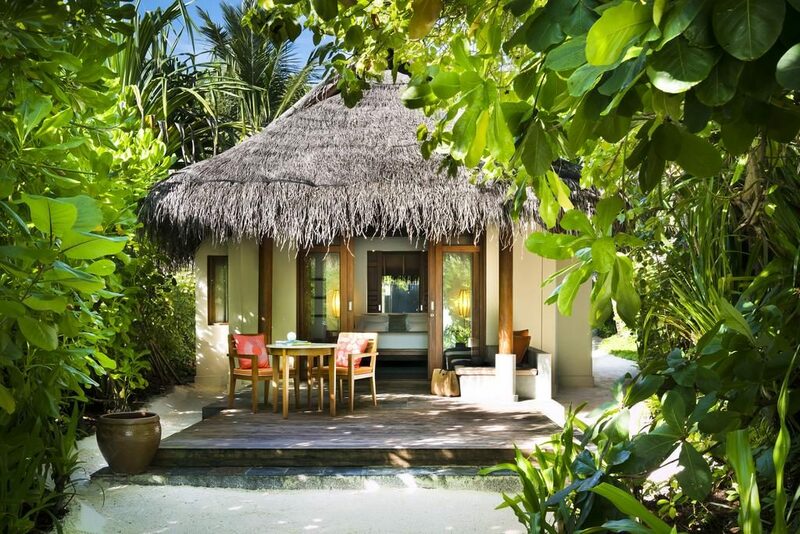 Speciality restaurants are also available (some located on sister island – Anantara Veli), including Sea.Salt.Fire, Terrazzo and Baan Huraa. (Please note that certain items on the menu may not be included within this meal plan).